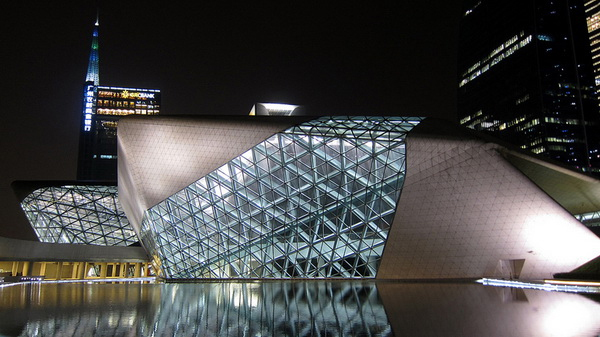 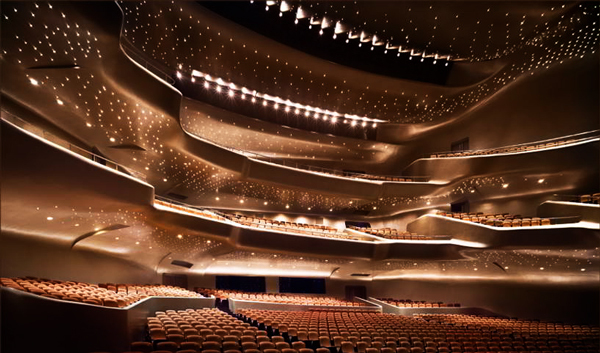 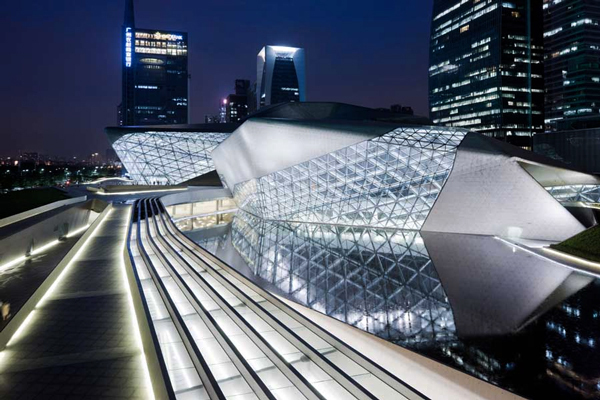 The Guangzhou Opera House is a $360 million project, designed by architecture firm Zaha Hadid. 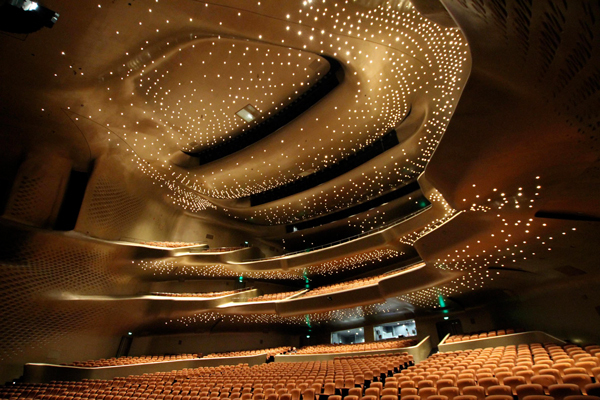 It boarders the Pearl River in Guangzhou, China and is made up of 2 building – a 1,800 seat theater and a 400 seat auditorium. 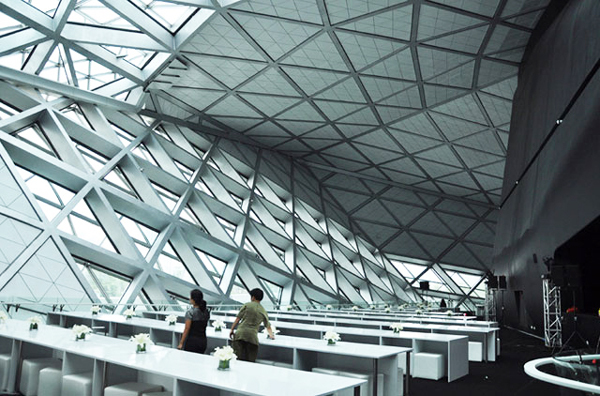 The building was completed in 2011.